In October 1968, about a month after I had transferred to Fort Eustis, I walked past the latrine and saw my “bunkmate” shaving the area around his elbows. I stopped and asked, “Shaving your arms?” and he answered “Yeth.” He was getting ready to give blood, he said. A real sacrifice. He loved to make fun of Tiny Tim, and note who had a high-pitched voice. “Smooth” became “Th-mooth”. The code for homosexuality was “OGAB” (“Oh, go way butterfly!”) and the main indicator was the almighty lisp. And he did genealogy charts to prepare himself for Mormonism. It seems odd to make a lot of “gay speech” now, in an era where gay marriage has been so suddenly accepted. But “Do I Sound Gay?” does remind us of how suddenly things have turned around. In 2005, Gov. Schwarzenegger of CA (“No more movies!” – which he didn’t keep to) vetoed a marriage equality bill, preceding Prop 8. The center of this film is director David Thorpe, a lean, balding and bearish Brooklyn writer in his 40s, alone again after his boyfriend left, with two cats who love him dearly. (One of them is named “Rocket”.) He takes some speech lessons, and learns that stereotyped gay speech tends to emphasized separate syllables, long vowels (like in Dutch) and certain consonants and diphthongs. Other personalities who appear include Tim Gunn, Michael Airington, Jeff Hiller, David Sedaris, and George Takei (with some footage of Liberace). The documentary makes some side journeys into exploring teen bullying and the stubborn expectations of the stereotypes which don’t go away in public school as quickly as they have in politics. There is a scene filmed inside historic Julius’s bar in Greenwich Village. I saw the film at Landmark E Street in Washington DC before a fair weeknight audience, mostly male. The official site is here. (Sundance Selects and IFC). 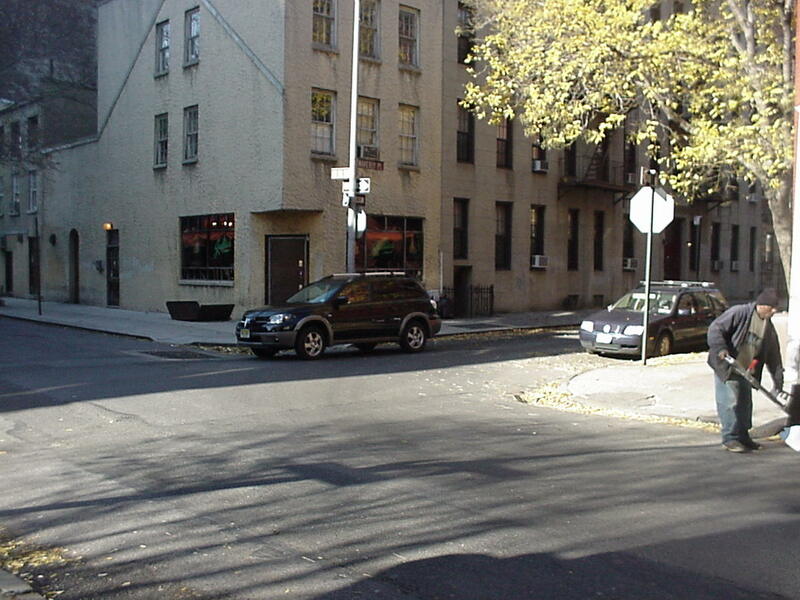 Picture: Julius’s, NYC, 2004 (my visit).